SellerActive has been making some big repricing changes over the last few weeks! The newest updates increase speeds for price changes and reporting including report download speeds. 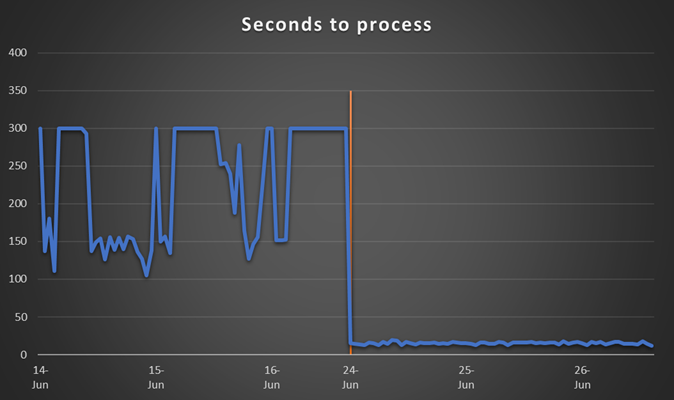 Not only have speeds significantly improved, but our software is now able to process the price changes from Amazon's API 90% faster than before! Amazon’s API sends SellerActive notifications any time price changes occur for product listings on their marketplace. For example, a seller increasing or decreasing their list price. After these recent updates,we can process these Amazon API notifications in 20 seconds or less, allowing our software to make faster and more accurate adjustments depending on your pricing strategy set from your dashboard. SellerActive didn’t stop there with our new pricing features. We have released a new Fallback Pricing Strategy, dynamic minimum and maximum pricing settings, and manual control over Buy Box configuration. You can read more about these changes in our Feature Friday post here!